Be more productive in your home or small office by picking up this wireless-capable OfficeJet 3835 All-in-One Printer from HP which features Wireless printing, scanning, copying, and faxing in a single compact unit. 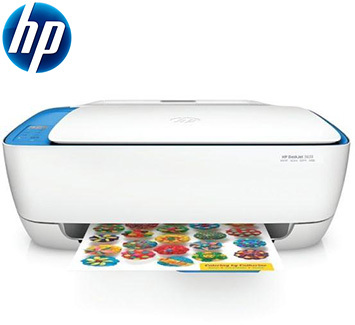 This model is also HP Instant Ink Ready, which will save money on ink and automatically order cartridges when you start to get low. At its core, this printer is very capable with ISO print speeds of 8.5 ppm in black and 6 ppm in colour. A draft mode can give a huge bump to productivity with speeds of 20 ppm in black or 16 ppm in colour. Also, through multiple inputs, users will be able to print at sizes up to 215 x 355 mm (A4) other media sizes and type such as A4 ,B5 , A6 Paper (plain, inkjet, photo), DL envelopes, transparencies, labels, cards, the HP premium media, iron-on transfers, borderless media are supported. With the inclusion of a flatbed and ADF scanner unit users can scan, copy, and fax from the same machine. It features an optical resolution of 1200 dpi for sharp, crisp images. 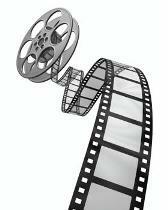 Also, the flatbed can work with a variety of document types ranging in sizes up to 216 x 297 mm. For general media handling the printer has a 60-sheet input tray and a 35-sheet ADF, allowing users to easily work with larger jobs. 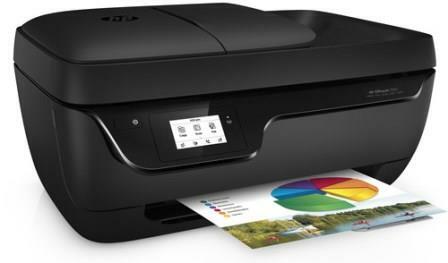 For checking settings and activating different modes and capabilities, the HP DeskJet Ink Advantage 3835 All-in-One Printer has a 5.5 cm (2.2-inch) mono touchscreen display. Also, it offers both USB 2.0 connectivity for connecting to a computer as well as built-in Wi-Fi which supports direct interaction with a smartphone or tablet. HP DeskJet 3639 All-in-One Printer,Print, Copy, Scan, 1 - 3 Users ,7. 5 / 5. 5 ISO print speed, HP Auto Wireless Connect, HP Mobile Printing, Wi - Fi Direct, HP ePrint, HP AiO Remote app, Easy setup, Energy Start. Supplies:HP 123 Black, HP 123 Tri - color, Retail Box , 1 year Limited Warranty. HP DeskJet 3639 All-in-One Printer,Print, Copy, Scan, 1 - 3 Users ,7. 5 / 5. 5 ISO print speed, HP Auto Wireless Connect, HP Mobile Printing, Wi-Fi Direct, HP ePrint, HP AiO Remote app, Easy setup, Energy Start. Supplies:HP 123 Black, HP 123 Tri - color, Retail Box , 1 year Limited Warranty. Keep it simple with an affordable all-in-one you can count on. Stay connected with the easiest way to print from your smartphone or tablet.1 Quickly print, scan, and copy – right out of the box – and keep free of clutter with a space-saving design. The Flatbed scanner through the 20-sheet automatic document feeder can scan documents at up to 600 x 1200 dpi . Connect to the cloud with this affordable Wi-Fi® All-In-One. Print from and scan seamlessly to smartphones and tablets with full Apple iOS and Android device support, which includes Apple AirPrint™ for easy wireless printing from an iPhone®, iPad® or iPod Touch® without an additional app. Go direct to the cloud with PIXMA Cloud Link, which lets you print photos in seconds from Facebook, twitter and online albums; print from and scan to popular cloud services like Google Drive™, OneDrive and Dropbox; and attach and send scanned files/images directly via email - all without using a PC. 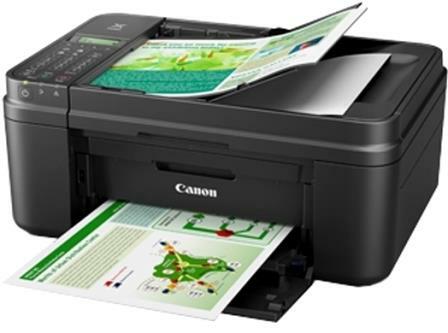 * The Canon Pixma MX494 Multifunction Wireless 4-in-1 is Ideal for the home or small office for to print, copy, scan and fax with ease as well as share functions between multiple devices including smartphones and tablets. 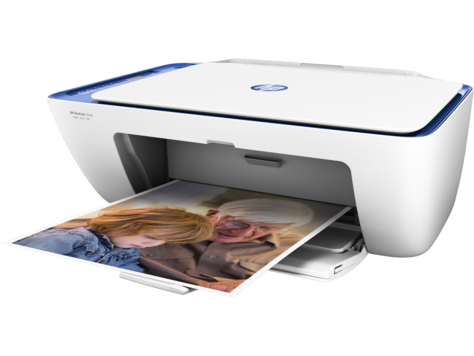 • Max Document Size: 8.5 x 14"
The HP Deskjet 2130 All-in-One Printer is so versatile you can scan photos, print web pages and copy documents, It’s simple to set up, simple to use, and there’s no waiting around for prints – an A4 page can be printed in just 15 seconds. Get started in fewer steps. Easily set up this all-in-one to print, scan, and copy with simple controls. Save your space with a compact all-in-one designed to fit on your desk, on a shelf, or anywhere you need it. Just connect your PC or Mac to the USB 2.0 port to get started. 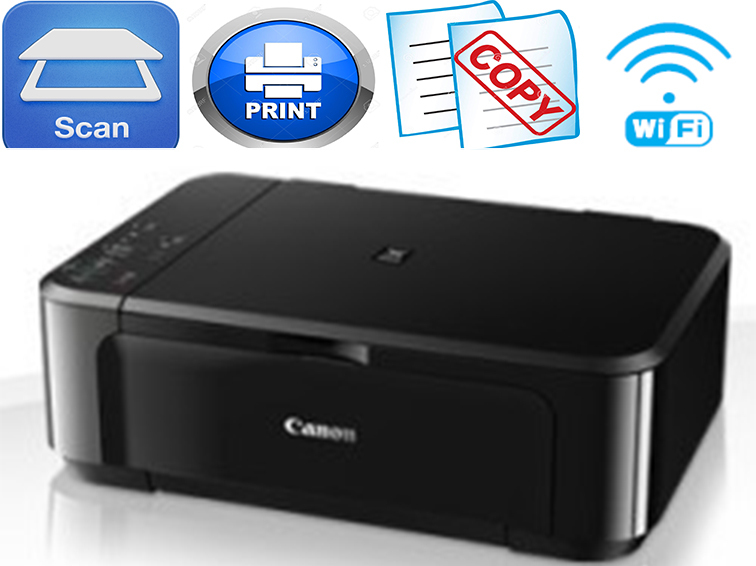 Canon PIXMA MG3640 multifunction 0515C066A is a compact Wi-Fi enabled all-in-one solution for those who want to connect effortlessly to smart devices and the cloud. Enjoy fast, high-quality printing (including 2-sided printing) copying and scanning. HP DeskJet 2630 All-in-One Printer, Print Speed: Up to 5.5 ppm Color, Print Speed Up to 7.5 ppm Black, Wireless, Page Volume: 50 to 100, Retail Box , 1 year Limited Warranty. The 250-Sheet Paper Tray for Office jet Pro 8600 Series Printers from HP provides expanded paper handling options for your printer. Use the tray to execute larger print jobs without having to reload paper or to keep an extra paper type in the printer for easy media switching.